MMOC posted another update on new 3.1 info. As it's on the official PTR now, ya know? And hey, it so happens there's a LOT of new things in that patch. Already warned you a few days back, but yep.. it's actually here now. Wirebrain has a good and pretty fast mirror available if you want to go and dive straight in without reading the highlights. Or simply start downloading while you read, the patch is about 900MB after all, so it's bound to take you a while. Worry not, I'll keep it short so you can go straight back to watching the progress bar on your download filling slooowwwwwly. A new "item" : Fragments of Val'anyr. The pieces are legendary, and have the subtext "on use" to combine 40 of them into a Shattered Fragments of Val'anyr. (Funny enough the item says unique(30), so you'll never be able to) The quest is "probably" a mace, and most likely a one handed one at that due to the class restrictions: Priest, Paladin, Druid, Shaman. 40 Shards to collect, much like splinters back in the old Naxx-lvl 60 days. Much drama will ensue, but I'd still rather see a Paladin or Shaman using the item as they're using a shield. While priests and druids can, and often do, use staves. whole bunch of new Glyphs found on thott's test collection. Plenty for all classes, but as this is (at heart) still mostly a rogue blog I'll just post those here and direct you to here for the remainder, as there's a LOT of glyph changes. Keep in mind this is PTR data, so they can (and probably will) still change. * Glyph of Cloak of Shadows -- While Cloak of Shadows is active, you take 40% less physical damage. * Glyph of Fan of Knives -- Increases the damage done by Fan of Knives by 20%. * Glyph of Hunger For Blood -- Increases the bonus damage from Hunger For Blood by 1% per application. * Glyph of Killing Spree -- Reduces the cooldown on Killing Spree by 45 sec. * Glyph of Mutilate -- Reduces the cost of Mutilate by 5 energy. * Glyph of Shadow Dance -- Increases the duration of Shadow Dance by 4 sec. * Glyph of Tricks of the Trade -- Your Tricks of the Trade grants an additional 10% bonus damage to your target. * Expose Armor now reduces armor by 20%, lasting longer per combo point. * Adrenaline Rush (Tier 7) cooldown reduced from 5 minutes to 3 minutes. Still, Those are some pretty spiffy buffs for the combat tree. +10% haste at the cost of 3 filler talent points (+4% stam, improved spring, improved throwing, whatever). Also interesting to note, is that Instant poison will no longer have a "chance" to proc, but is now working on a Procs Per Minute (PPM) mechanic. * New achievements, several for noble garden, and a completely new event which probably involves mounted combat - jousting perhaps. * Dungeons now have maps! * Some new "low level" crafting recipes. 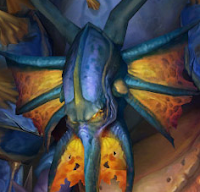 * Lots of pictures of Ulduar, and several monsters / bosses. Also a hinting at what many players believe to be a reference to power rangers etc,,,... (cough) a giant multi-part robot. Hopefully player controlled, but doubtful since his "head" is a possible drop (or reward) as a 310% speed mount. * Mounts can SWIM! Or rather, land mounts can. * All the Tier 8 models / suits. No bonuses yet though. You seem to be a rogue so I must say, lucky you! Rogue's have probably the best looking Tier 8 set, while I am stuck with the fail Tier 8 Pally set. Ugh, i hope that was sarcarm, The rogue helm is atrocious! The druid helm looks very weird though.